At the conclusion on his junior season Kyle Van Noy was told by practically everyone that he should leave BYU and enter the NFL draft. Staying for a senior season simply made no sense, especially given what had just happened to Matt Reynolds who was a top three round projection after his junior season but ended up going undrafted after he stayed for one more year. So KVN really shocked the BYU community when he announced he was coming back. There was a lot of speculation for the reasons for his return but there’s no arguing the results. His senior season was arguably the most dominant season ever for a defensive player at BYU. He was on vitually every watch list and concluded the season with 70 total tackles (42 solo), 17.5 tackles for loss (for 70 yards), 4.0 sacks (after getting 13.0 as a junior), two interceptions, seven pass break ups, 12 quarterback hurries, and two fumble recoveries. He capped the season with the best defensive game every by a BYU player (and one of the best by any collegiate player) in the Poinsettia Bowl (see below, or do yourself a favor and watch every play by clicking here). He had 3.5 TFL (1.5 sacks), a forced fumble he recovered for a touchdown, an interception he returned for a touchdown, and a blocked punt. 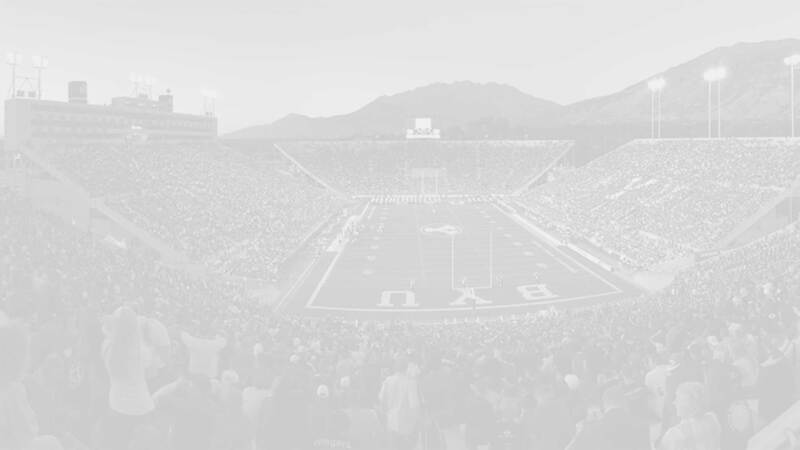 Bronson came to BYU with a little more fanfare but due to an ill-advised position change his junior season he never fully got into a groove and his draft stock plummeted. So returning to BYU for one last hurrah made all the sense in the world and he has made the most of his senior season. He currently has 55 total tackles (38 solo), 17.0 tackles for loss (for 82 yards), 11.0 sacks (for 71 yards), one interception, one pass breakup, six quarterback hurries, three forced fumbles and one fumble recovery, and FOUR blocked kicks. 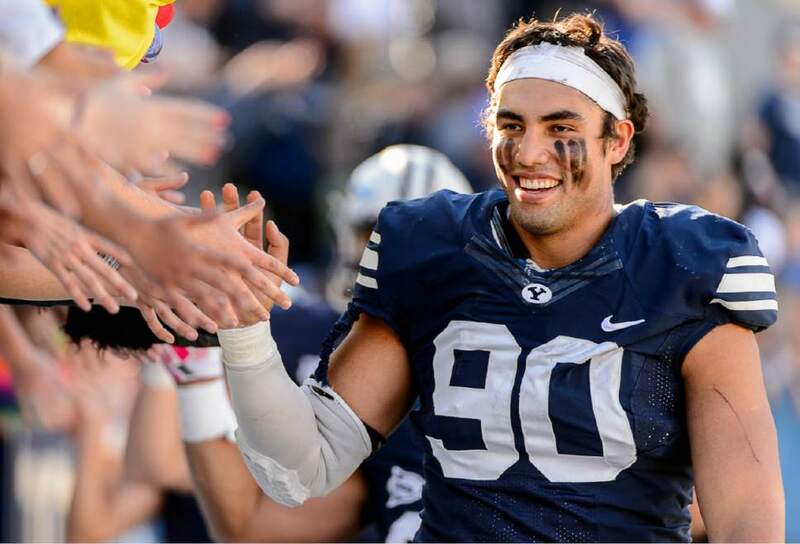 With a KVN-esque bowl game and a strong showing at the combine, Kaufusi has the measurables to be drafted as early as the mid first round. Here’s a quick highlight reel for #90.